We all know how important dental hygiene is to our overall health, but we thought we would give you some reminders while you are waiting and thinking about your next dental appointment. 1. Dentists know more than teeth! Dentists know more than your teeth. They are experts in your entire oral health, including “correcting jaw problems and detecting oral cancer” and detecting gum disease. Don’t be afraid to ask questions about your mouth -we’ll have the answers or find a specialist for you! 2. There is a correct way to use toothpaste. You should think about toothpaste as a lotion for your teeth, not just a soap. Just like lotion the more you use and the longer you let it sit on your teeth, the better your teeth will be. Take the extra time to let the toothpaste ‘soak in’. 3. Schedule regular appointments, not just when you’re teeth hurt. 4. Money should not prevent you from taking care of yourself. We offer new patients free exams and x-rays. We have affordable, interest-free and long term payment plans designed help you get the care you need. We even offer 10% off for senior citizens. Need to find extra dental discounts, our website features valuable coupons for extra savings. We also accept insurance. 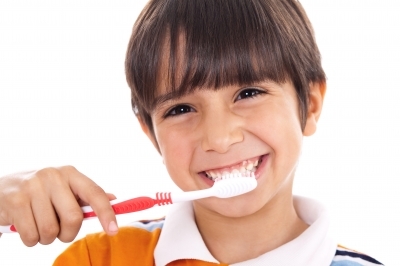 We have seen all types of teeth and all stages of oral health. Don’t be embarrassed about your teeth, we will have a solution for you. Oral health is imperative to overall health. So don’t wait– make an appointment now. We have three Pittsburgh area offices to make getting to us easier: Greentree, PA, Greensburg, PA and Jennerstown, PA. We would be happy to answer any questions you may have. Call us at 1-855-466-3327 or book online via the website.